If you drop a mustang on top of a jaguar it doesn't look right. This guy got it right. I think he did the shape that was in kurts photo exactly as it was. That tiny lower horn looks so weird. The Jag-stang solves precisely no problems, because there is nothing wrong with the shape of either the Jaguar or Mustang. 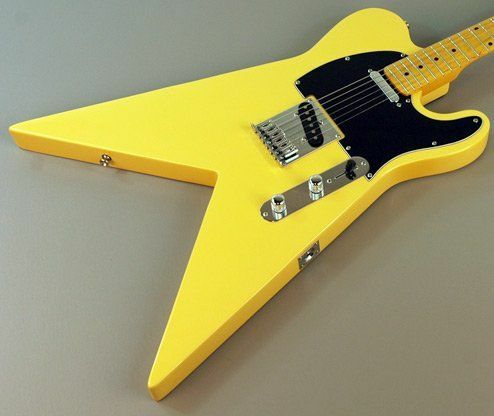 Actually I can't think of a single "let's combine the shapes of two existing guitars to make a new one" guitar design that has been successful. Except this one of course. You can't even see the joins! The Telemaster was kinda cool. That actually doesn't look so bad, it looks like some metal guitars. The problem is when you try to work in the control plate and it looks off. 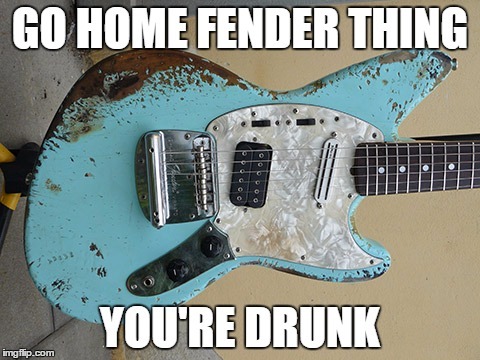 Also, that's not really a Fender Jagstang shape: it has more space above the switches. Or maybe that's a template for what you are saying should be the right shape. I'm not really clear on what you're trying to say. 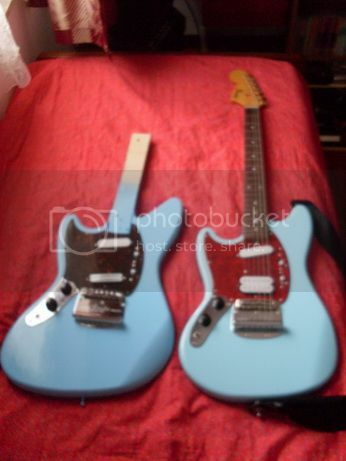 Both of those guitars are Jazzmaster-shaped. Can I just chime in and say that if anyone wants to build me one of those I will throw money at you until it's finished! Looks SO good when done properly and the fact it's more like a Jaguar with the 2 singlecoils is a bonus over the humbuckered Jagstang. 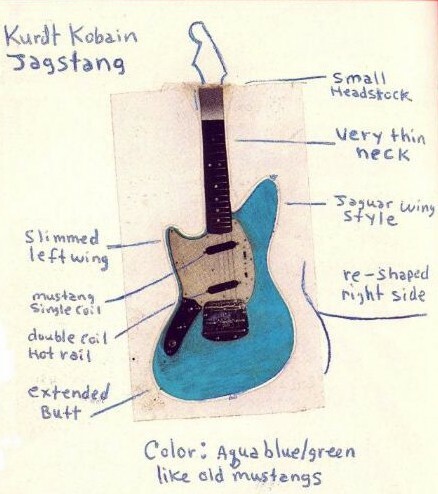 The Jagstang was ugly however you look at it, teh Kurtz mock up or the production version. It's like that car that Homer designs in the Simpsons. 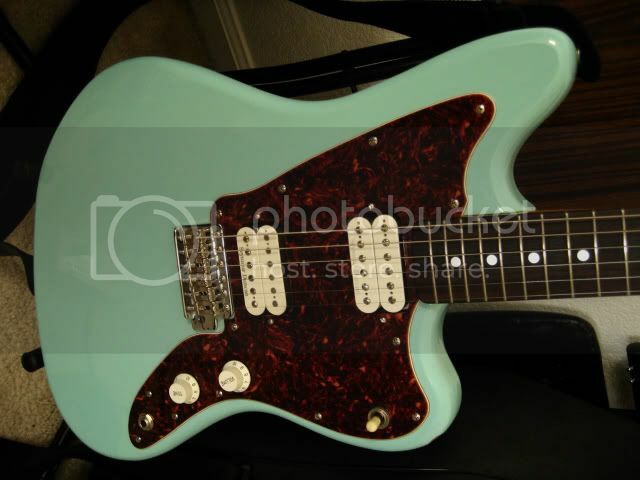 If I remember right the Vista models used Jaguar bodies and necks. I think that's Robert OG's, so he probably just beat someone with extra dry skin to death with it. Just wanted to approve the The Homer reference here.